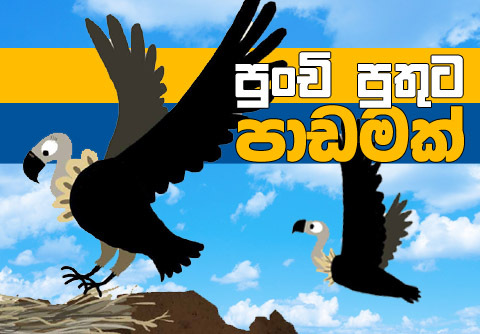 "පුංචි පුතුට පාඩමක්"- පොඩි දරුවන්ට ලොකුම ලොකු පාඩමක් කියා දෙන ආදරණීය කතාවක් [කාටූන්]- Alex Latimer ලියා, Patrick Latimer සිත්තම් කළ "Circles" අප්‍රිකානු ළමා කතන්දරයේ සිංහල ප්‍රතිනිර්මාණය. Sinhala Translation of the Kids Story "Circle" written by Alex Latimer and illustrated by Patrick Latimer, published on bookdash.org. Animations of this video were created based on Patrick Latimer's illustrations of the same (above) book. with the help of the Book Dash participants in Cape Town on 2 December 2017.